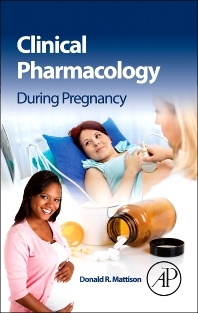 Clinical Pharmacology During Pregnancy is written for clinicians, physicians, midwives, nurses, pharmacists and other medical professionals directly involved in the care of women during pregnancy. This book focuses on the impact of pregnancy on drug disposition and also includes coverage of treatments for diseases of specific body systems as well as essential content on dosing and efficacy. The broad range of this book encompasses analgesics, antiasthmatics, antidepressants, heart and circulatory drugs, vitamins and herbal supplements, and more. Topics in chemotherapy and substance abuse are covered, as are research issues, including clinical trial design and ethical considerations. This book will be of value to anyone who is actively involved in the care of pregnant women, including obstetricians, residents in obstetrics, fellows in fetal maternal medicine, internists, general and family practitioners who provide care for women of reproductive age, pharmacists, midwives, nurse practitioners and physician assistants. 7. What is Sufficient Evidence to Justify a Multicenter Phase 3 Randomized Controlled Trial in Obstetrics? 7.3 Why are failure rates so high for pregnancy drug trials compared to other therapeutic areas?